Nigerian rapper turned singer Skales is raging over the plagiarism of his intellectual property. Raoul John Njeng-Njeng aka Skales is angry his song and concept has been heavily lifted by a certain upcoming artiste by name Don Toffy. The ‘Shake Body’ crooner in a series of tweets which have been taken down threatened to deal with the artist. 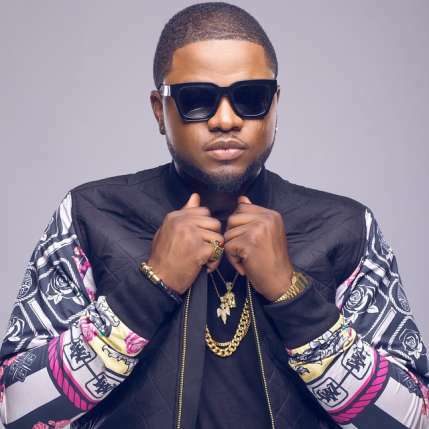 The original song by Skales which was plagiarized is titled ‘For You‘ from his sophomore album but was subsequently released as ‘Anything For The Mulla’. Skales urged public witnesses to listen to both songs to confirm it was a stolen idea from him. 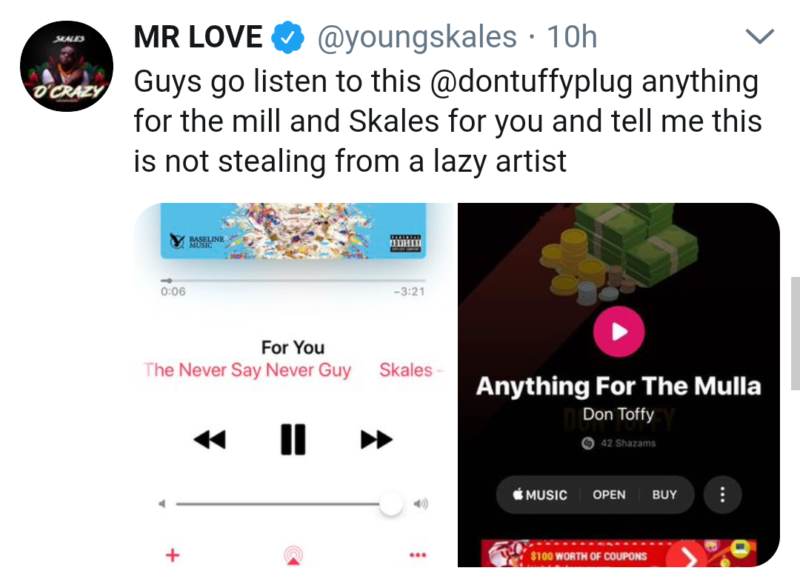 It seems that Don Toffy and Skales have reached mutual grounds as the later has deleted his tweets and called for calm.